The Cyber-Shot DSC-TX7 is a powerful ultra-compact that is loaded with Sony's "best" technologies and the price reflects that. It boasts good image quality, robust performance, and plenty of intelligent exposure options. Read more in our Full Conclusion. 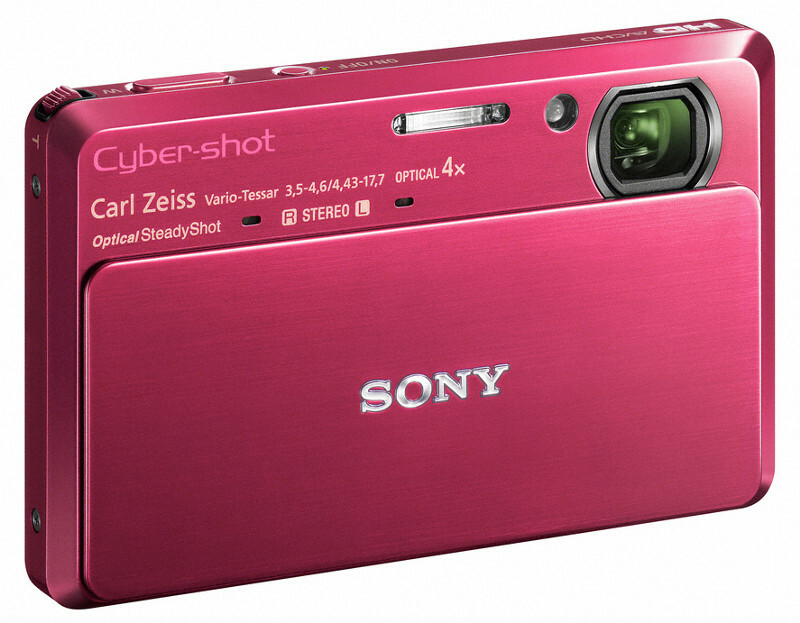 One of Sony's most advanced point-n-shoot cameras to date, the Cyber-Shot DSC-TX7 is one of their top-of-the-line T-series models for 2010. This sleek camera sports some serious specifications, including a fast 10-megapixel Exmor R CMOS image sensor, 10fps burst mode shooting at full resolution, AVCHD 1080i video, in-camera HDR, Optical SteadyShot IS system, Xtra Fine "TruBlack" 3.5-inch touchscreen LCD (921k pixel), and much more. Not only is the TX7 loaded with impressive features, but it also includes their proven iAuto (intelligent Auto) exposure mode, which takes care of all the important exposure and scene mode settings for you, that way you can concentrate on the subject at hand. On top of iAuto, Sony has included some other "intelligent" features, such as intelligent AF, iSCN, Intelligent Sweep Panorama, Anti-Blink, Face Detection, and Motion Detection technologies. Supplied Camera Dock "Multi Output Stand"
The Sony Cyber-shot DSC-TX7 is available now with a suggested retail price of $399.99 US.